Composer: Adam, Adolphe Adams, Jason Adson, John Albeniz, Isaac Albinoni, Tomaso Albrechtsberger, Johann Georg Alford, Kenneth Allegri, Gregorio Allen, Stephen Arthur American Folk Hymn Anderson, James Anixter, Russ Anonymous Apaiwongs, Puangroy Arban, Jean Baptiste Arlen, Harold Arndt, Felix Arne, Thomas Art of Sound Music Aston, Hugh Atkinson, Frederick Bach, Johann Sebastian Bach, Carl Philipp Emanuel Badelt, Klaus, Geoffrey Zanelli and Hans Zimmer Bagley, Edwin E. Banchieri, Adriano Bara, Paul Bartholomew, Greg Bartok, Bela Bassman, George Bateson, Thomas Battishill, Jonathan Bauer, Jeffrey H. Bayes/Norworth Beach, Amy (Mrs. H.H.A.) Beethoven, Ludwig van Bellini, Vincenzo Bellstedt, Herman Bencini, Pietro Paolo Bennard, George Bennett, William S. Berlin, Irving Berlioz, Hector Bernstein, Leonard Biber, Carl Heinrich Bill, Christopher Billings, William Billings, Thomas Bizet, Georges Blake, James Herbert "Eubie" Blemont, Emile Boccherini, Luigi Bologne Chevalier de St. Georges, Joseph Bon Jovi, Child and Sambora Borodin, Alexander Botschinsky, Allan Boulanger, Lili Boulanger, Nadia Bowyer, Don Boyd, Robert Boyer, T.B. Boysen, Andrew, Jr. Brackett, Joseph Braham, Philip Brahms, Johannes Brahms, Johannes and Botschinsky, Allan Brébeuf, Jean de Bruckner, Anton Bull, John Butler, Chris Butterworth, George Buxtehude, Dietrich Byrd, William Calvisius, Sethus Campra, Andre Cannon, Hugh Cardoso, Manuel Carleton, Bob Carter, L. Elise Castello, Dario Cervantes, Ignacio Chabrier, Emmanuel Chaminade, Cecile Chaminade, Debussy, Faure, Ferrari, Saint-Saens Charpentier, Marc-Antoine Chopin, Frédéric Cimarosa, Domenico Clark, J.E. Clarke, Jeremiah Clarke, Herbert L. Cohan, George M. Comune, Carol Conti, Bill Coperario, John Copland, Aaron Corelli, Arcangelo Corozine, Vince Costeley, Guillaume Creamer and Layton Croft, William Crosby, Fanny Crüger, Johann Cummings, Barton Cutcliffe, Brad Darwall, John David, Mack Davis, Miles Day, George H. de Alisda, Jerónimo de Falla, Manuel de Fesch, Willem De Koven, Reginald de La Monnoye, Bernard de Lassus, Orlande de Victoria, Tomás Luis Debussy, Claude Delibes, Leo Della Peruti, Carl Desprez, Josquin DeWert, Giaches DeYoung, Dennis Diamond, Neil DiLorenzo, Anthony Dowland, John Draper/Brackett, William Henry and Elder Joseph Duble, Charles DuBois, Sarah DuBrock, Chris Dukas, Paul Dutton, Brent Dvorak, Antonin Dykes, John Dykins, Dale Eastburn, Joseph Edwards, John David Elgar, Edward Ellisor, Connie Elvy, George Emmett, Dan Essmiller, Kathy Ewald, Victor Farmer, John Farnaby, Giles Faure, Gabriel Ferrari, Gustave Ferreira/Einhorn, Durval & Maysés Festa, Costanzo Fillmore, Henry Fisher, Fred Flecha, Mateo Foster, Stephen Franck, Cèsar Frasier, Jane Frescobaldi, Girolamo Fucik, Julius Gabrieli, Giovanni Gade, Niels Gale, Jack Gastoldi, Giovanni Gauntlett, Henry John Gerber, Jerry Gershwin, George Giammario, Matteo Gibbons, Orlando Gibbons, Ellis Giefer, George Gigout, Eugene Giordani, Guiseppe Giuliani, Mauro Glazer, Carl G. Goedicke, Alexander Goldfarb, Samuel E. Góngora, Josué Bonnín de Goss, John Gottschalk, Louis Moreau Gounod, Charles Grainger, Percy Granados, Enrique Graupner, Christoph Green, Michael C. Greenberg, Charlie Greenwood, Gabe Gretchaninoff, Alexandre Grieg, Edvard Grimaldi, Scott Gruber, Franz Guaraldi, Vince Guilmant, Alexandre Gulino, Frank Gungl, Joseph Haase, Aug. Hadley, Arthur Hammell, Charles Hampton, Robert Hanby, Benjamin Handel, George Frederic Handl, Jacob Handy, W.C. Hanson, Dave Harbach, Barbara Hartley, Scott Hasller, hans Leo Hassler, Hans Leo Hassler/Bach, Hans Leo and Johann Sebastian Hastings, Thomas Haussmann, Valentin Haydn, Joseph Hays, Steven Hellendaal, Pieter Helmore, Thomas Hendrix, Jimi Henry VII Hensel, Fanny Henson/Pottle, Jim and Sam Herbert, Victor Higgins, Edward Hilfiger, John Jay Hill, Mildred and Patty Hirschman, Ed Hoff, Erik Hoffstetter, Romanus Hoh, Christopher Holden, Oliver Holst, Gustav Hopkins, John Henry, Jr. Hopkinson, Francis Houghton, Eric Howard, Bart Huffman, Dan Hummel, Johann N. Humperdinck, Engelbert Ivanov, Mikhail Ippolitov Iverson, Daniel Ives, Charles Jessel, Leon John, Elton Johnson, J. Rosamond Jones, Kevin Joplin, Scott Jordan, Dora Jöstlein, Thomas Karg-Elert, Sigfrid Keeffe, David Keller, Matthias Kelley, Daniel E. Kern, Jerome Ketèlbey, Albert W. King, Karl Kirbye, George Kirkpatrick, William Klages, James Knapp, Phoebe P. Knudsen, Peder Kreisler, Fritz Krommer, Franz Krommer, Franz Lachner, Ignaz Lambert, Louis Lande, Art Lathan, Mark le Jeune, Claude Lehár, Franz Leontovych, Mykola Levesque, Craig Levine, Bruce Lheritier, Jean Lias, Stephen Liguori, Alphonsus Maria de' Lola, Paco and Martín Salas Longfellow, Henry Wadsworth Lopez, Kristen Anderson and Robert Lorge, John Luis, Ingo Luther, Martin MacDowell, Edward Mack/Johnson, Cecil and James P. Mahler, Gustav Maiden Mueller, Spike Maiden Muller, Spike Maker, Frederick Malan, Henri Abraham César Marcello, Benedetto Marenzio, Luca Marenzio, Luca Marquez, Arturo Maschwitz/Sherwin Mason, Lowell Massenet, Jules May, Billy McCartney, Paul McMurtery, John Meacham/Gray, F.W. and Jerry Megules, Karl I. Mendelssohn, Felix Menken, Alan Merula, Tarquinio Messerschmidt, Edward D. Metheny, Pat Miles, Tim Milton, John Miserendino, Joe Molter, Johann Melchior Molter, Johann Melchior Monk, William Henry Monk, William Henry Monteverdi, Claudio Monti, Vittorio Morgan, Paul Morley, Thomas Mountain, James Mouret, Jean-Joseph Mozart, Wolfgang Amadeus Mozart, Leopold Mueller, Robert Murray, James R. Mussorgsky, Modest Nagle, Paul Nash, Gary Powell Nelhybel, Vaclav New Orleans Rhythm Kings Newman, Randy Newton, John Nicolai, Philipp Nielsen, Carl Nordqvist, Gustaf Norris, Phil Nova, James O'Toole, Anthony Offenbach, Jacques Original Dixieland Jazz Band Owen, Harold Pachelbel, Johann Pachelbel, Charles Theodore Paganini, Niccolò Palestrina, Giovanni Pierluigi da Panos, Alexander Parry, C. Hubert H. Parsons, Robert Pascuzzi, Gregory Passereau, Pierre Pearsall, Robert Pettis, Meyers, and Schoebel Pezel, Johann Cristoph Pfoltner, Brian Piazzolla, Astor Piazzolla, Astor Picchi, Giovanni Pierpont, James Pilkington, Francis Pitoni, Guiseppe Ponchielli, Amilcare Poulenc, Francis Poulton, George R. Praetorius, Michael Praetorius, Hieronymus Prichard, Rowland Hugh Prima, Louis Primrose, Joe Prokofiev, Sergei Prudentius, Marcus A.C Pryor, Arthur Puccini, Giacomo Purcell, Henry Quilter, Roger Rachmaninoff, Sergei Raum, Elizabeth Ravel, Maurice Redner, Lewis H. Reed, Scott Reiche, Gottfried Reyman, Randall Rheinberger, Josef Riccio, Giovanni Battista Rimsky-Korsakov, Nicolai Robeson-Howard, Michele Rollinson, T.H. Ross, Gertrude Rossini, Gioachino Ruggero, Leoncavallo Runyan, William M. Ryan, Tedder Saint-Saens, Camille Satie, Erik Scandello, Antonio Scarlatti, Alessandro Scarlatti, Domenico Scheidt, Samuel Schein, Johann Hermann Schubert, Franz Schubert, Jonathan Schumann, Robert Schumann, Clara Schütz, Heinrich Seitz, Roland Sherman, William F. Sherman, Richard and Robert Shilansky, Neil Silvestri, Alan Skinner, J. Scott Smart, Henry Smith, John Stafford Snedecor, Phil Soler, Antonio Sousa, John Philip Speer, Daniel Spiritual Stanford, Charles Villiers Stanley, John Steffe, William Stolzel, Gottfried Heinrich Strauss, Richard Strauss, Johann Strauss, Johann and Joseph Stravinksy, Igor Strouse, Charles Sullivan, Arthur Suppe, Franz von Susato, Tielman Sweelinck, Jan Pieterszoon Sykes, Seth & Bessie Tallis, Thomas Taneyev, Sergey Tchaikovsky, Pyotr Ilyich Tchesnokov, Pavel Telemann, Georg Philipp Temperton, Rod Tempest, Joey Terry, R.R. Tescher, Melchior Teschner, Melchoir Thomas, David R. Thomas, David Clayton and Fred Lipsius Thomas,, David Clayton and Fred Lipsius Thompson, Will L. Thompson, H. S. Threlfall, Jennette Tilzer, Albert von Tomás Luis, De Victoria Torelli, Guiseppe Torme/Wells, Mel and Robert Traditional Traditional/Green Traditional/Guthrie Traditional/Morely Ukxone Umiliani, Piero Valente, Antonio Valenti, Michael Van Hoy, Jeremy Varelas, Dmitriy Various Vaughan Williams, Ralph Vecchi, Orazio Verdi, Giuseppe Viadana, Luduvico Victoria, Tomas Luis de Vivaldi, Antonio Volpius, Melchoir Volpius, Melchior Wade, John Francis Wagner, Richard Walond, William Walter, Johann Ward, Samuel A. Washington Symphonic Brass Waters, Roger Webb, Jimmy Webber, Andrew Lloyd Weber, Carl Maria von Weelkes, Thomas Weelkes/Morely, Thomas/Thomas Wenrich, Percy Wernick, Warren Wertsch, Nancy Wesley, Charles Wesley, Samuel S. Wesley/Mendelssohn, Charles and Felix Wetterman, August White, B.F. Widor, Charles-Marie Wilbye, John Williams, Clarence and Spencer Williams, Robert Willis, Richard Storrs Willis, White, McKay and Wolfe, Andy Worsham, Daniel Wrubel, Allie Yon, Pietro York, Barbara Zimmerman, Charles A. 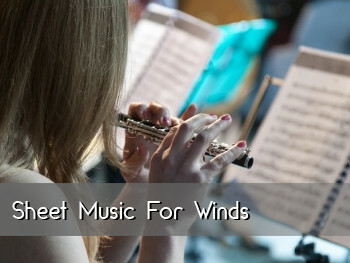 Our staff has hand selected new, popular and interesting works that will make a great addition to your next concert or recital. 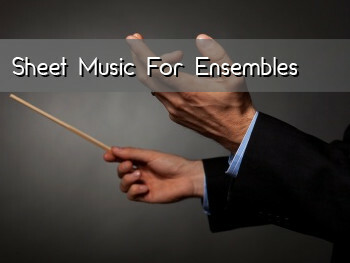 25 works in each to grow or revitalize your Quintet repertoire. 2 Wedding collections, 2 Holiday collections and a set of Classics. 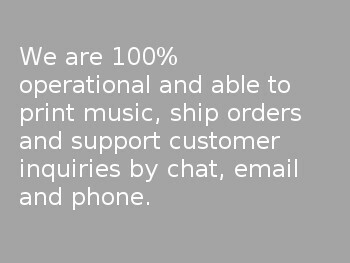 Simultaneously see and hear our music before you buy to ensure it meets your needs, taste and skill.